This will be difficult to achieve and potentially dangerous. 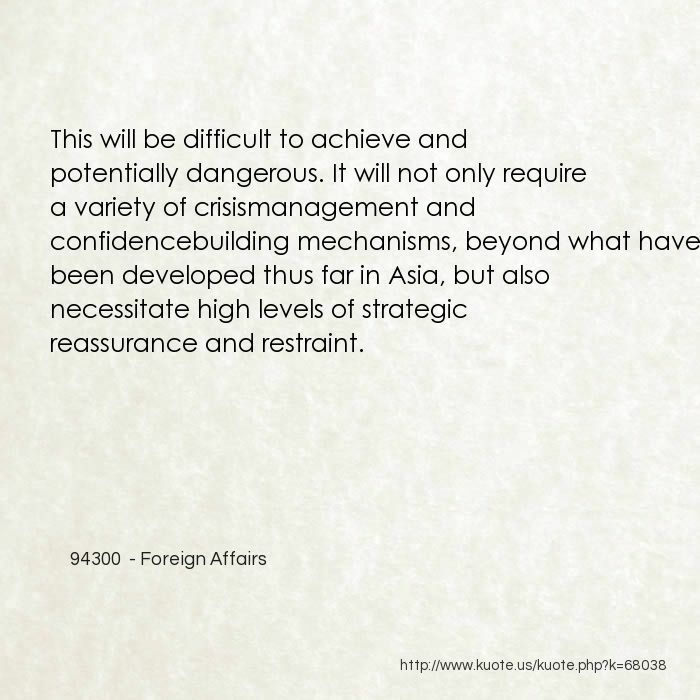 It will not only require a variety of crisismanagement and confidencebuilding mechanisms, beyond what have been developed thus far in Asia, but also necessitate high levels of strategic reassurance and restraint. 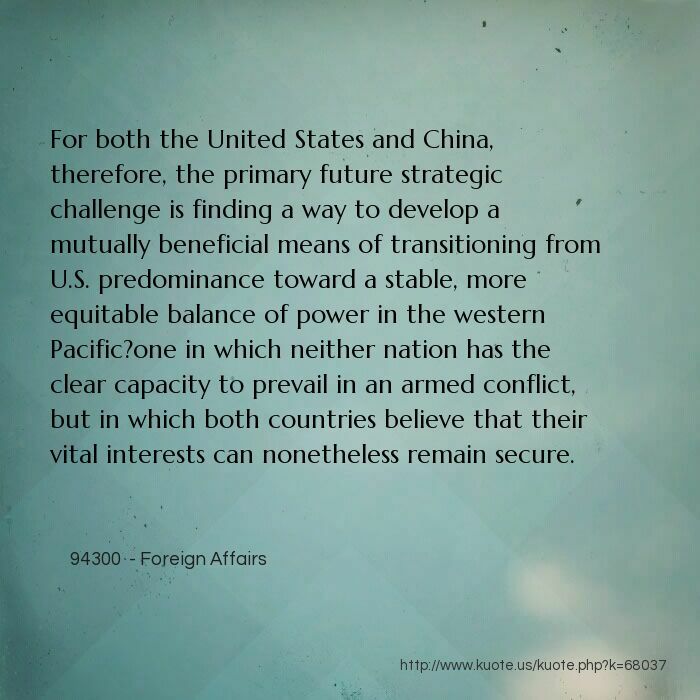 For both the United States and China, therefore, the primary future strategic challenge is finding a way to develop a mutually beneficial means of transitioning from U.S. predominance toward a stable, more equitable balance of power in the western Pacific?one in which neither nation has the clear capacity to prevail in an armed conflict, but in which both countries believe that their vital interests can nonetheless remain secure. 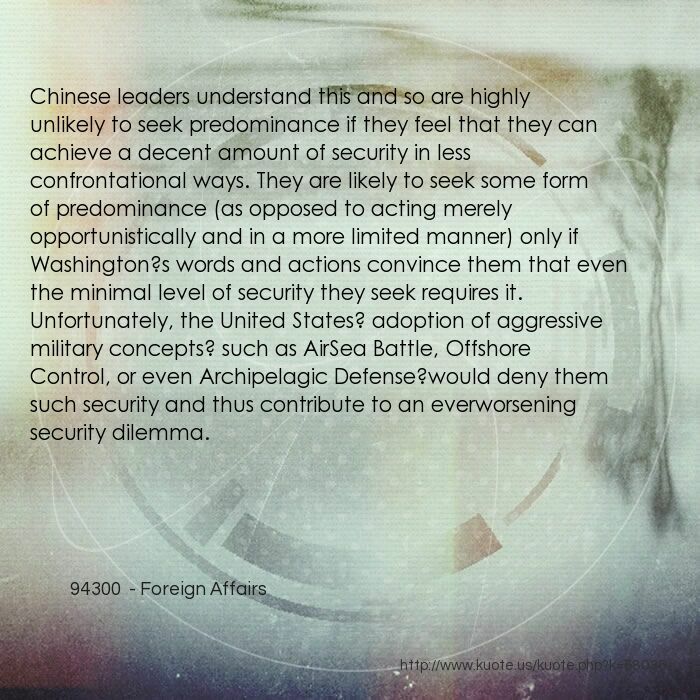 Chinese leaders understand this and so are highly unlikely to seek predominance if they feel that they can achieve a decent amount of security in less confrontational ways. 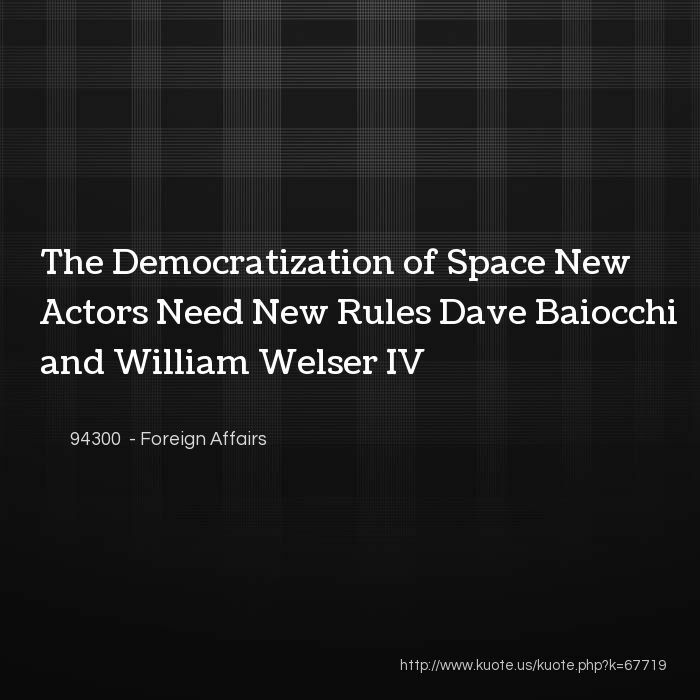 They are likely to seek some form of predominance (as opposed to acting merely opportunistically and in a more limited manner) only if Washington?s words and actions convince them that even the minimal level of security they seek requires it. Unfortunately, the United States? adoption of aggressive military concepts? such as AirSea Battle, Offshore Control, or even Archipelagic Defense?would deny them such security and thus contribute to an everworsening security dilemma. 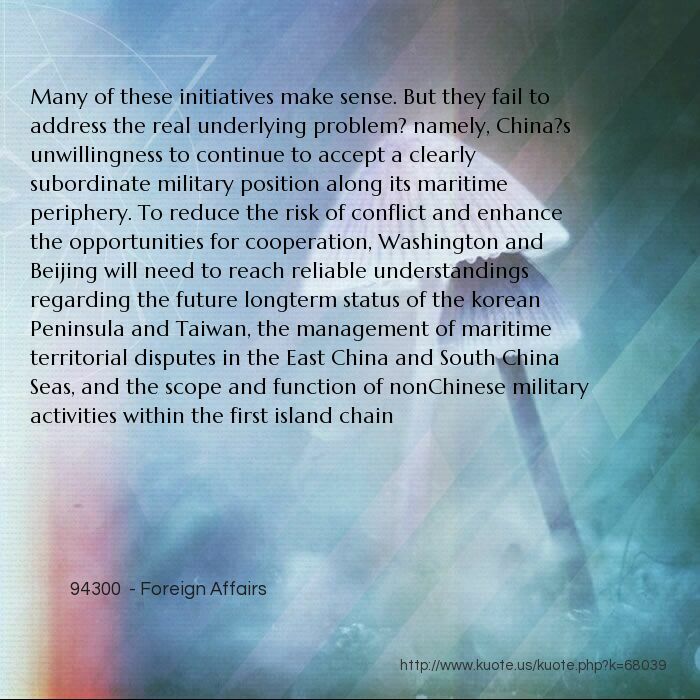 The barriers to maritime predominance, however, apply to China as well as the United States. 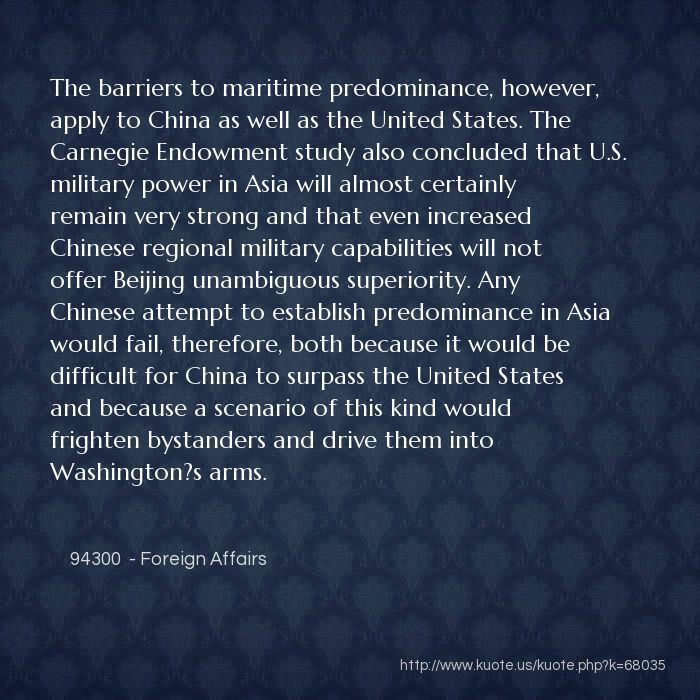 The Carnegie Endowment study also concluded that U.S. military power in Asia will almost certainly remain very strong and that even increased Chinese regional military capabilities will not offer Beijing unambiguous superiority. 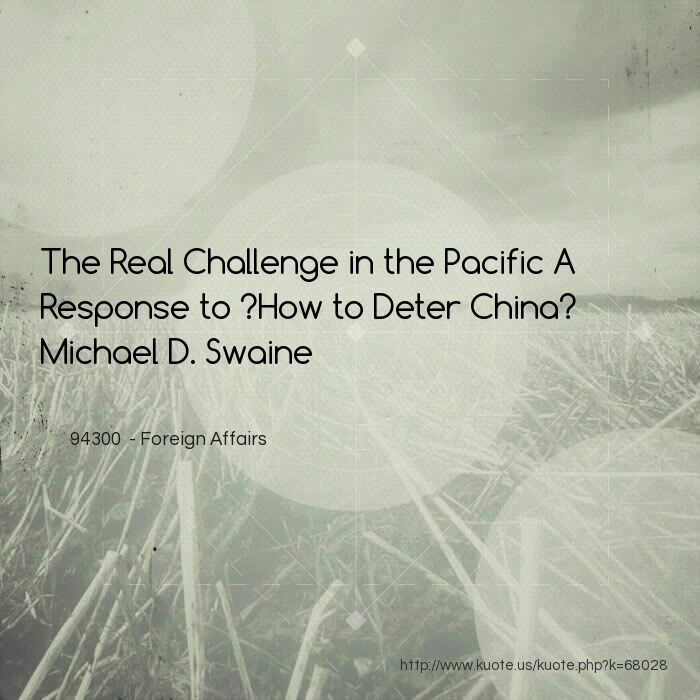 Any Chinese attempt to establish predominance in Asia would fail, therefore, both because it would be difficult for China to surpass the United States and because a scenario of this kind would frighten bystanders and drive them into Washington?s arms. the United States will remain the strongest military power on a global level for many years to come. 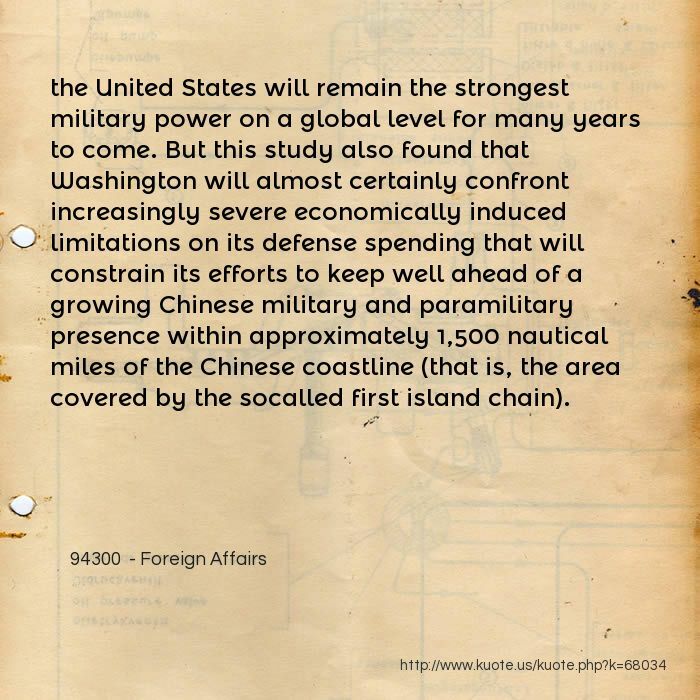 But this study also found that Washington will almost certainly confront increasingly severe economically induced limitations on its defense spending that will constrain its efforts to keep well ahead of a growing Chinese military and paramilitary presence within approximately 1,500 nautical miles of the Chinese coastline (that is, the area covered by the socalled first island chain). The problem with this outlook? 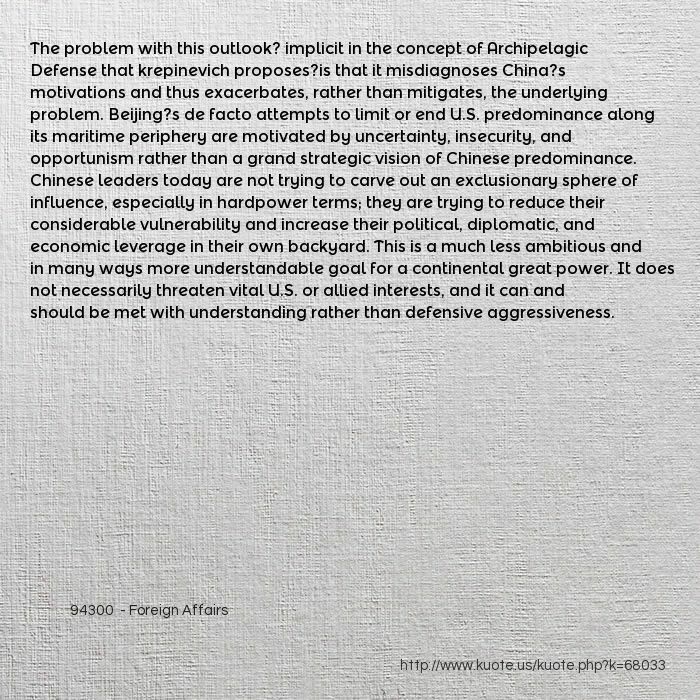 implicit in the concept of Archipelagic Defense that krepinevich proposes?is that it misdiagnoses China?s motivations and thus exacerbates, rather than mitigates, the underlying problem. 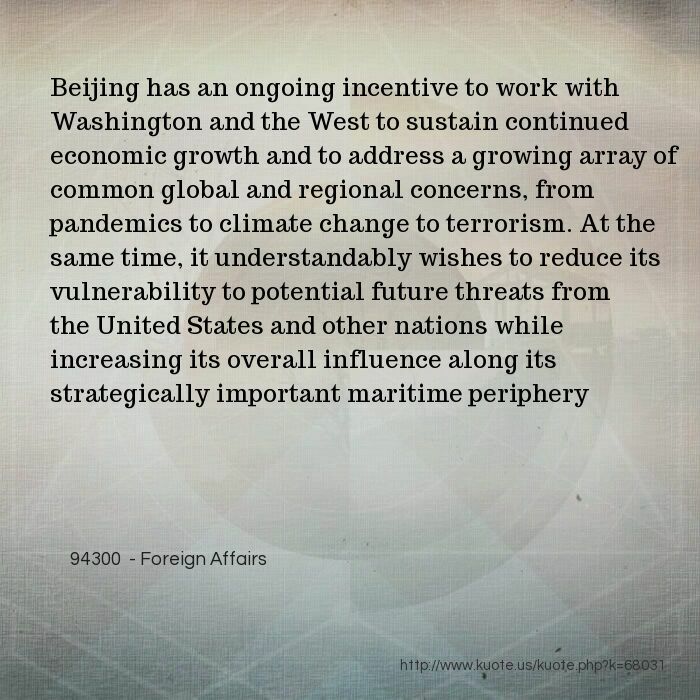 Beijing?s de facto attempts to limit or end U.S. predominance along its maritime periphery are motivated by uncertainty, insecurity, and opportunism rather than a grand strategic vision of Chinese predominance. 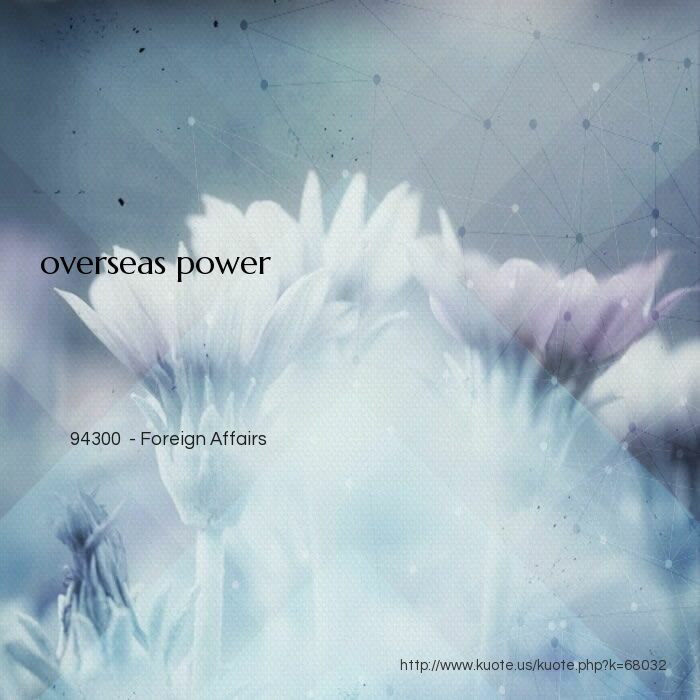 Chinese leaders today are not trying to carve out an exclusionary sphere of influence, especially in hardpower terms; they are trying to reduce their considerable vulnerability and increase their political, diplomatic, and economic leverage in their own backyard. This is a much less ambitious and in many ways more understandable goal for a continental great power. It does not necessarily threaten vital U.S. or allied interests, and it can and should be met with understanding rather than defensive aggressiveness. 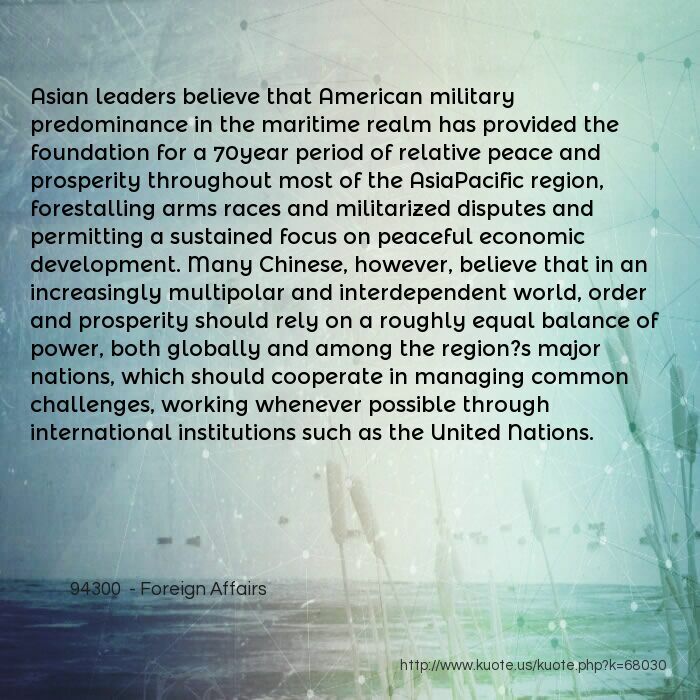 Asian leaders believe that American military predominance in the maritime realm has provided the foundation for a 70year period of relative peace and prosperity throughout most of the AsiaPacific region, forestalling arms races and militarized disputes and permitting a sustained focus on peaceful economic development. 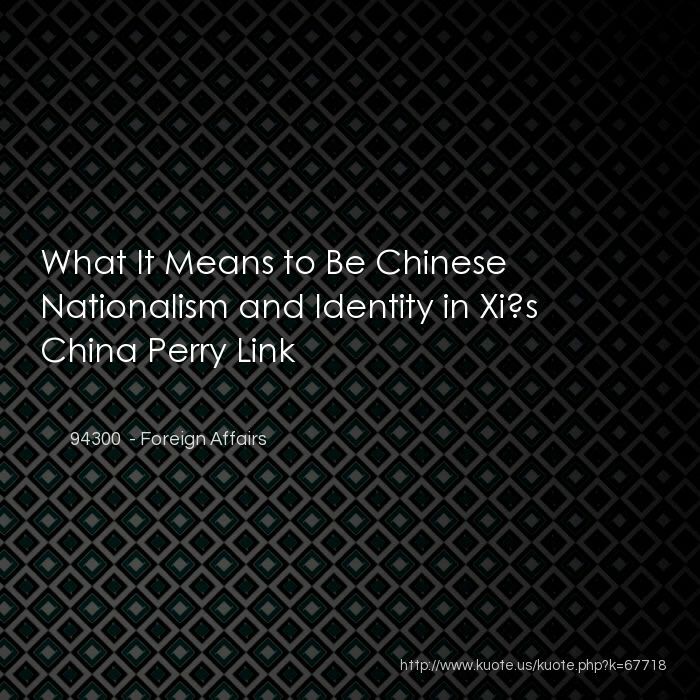 Many Chinese, however, believe that in an increasingly multipolar and interdependent world, order and prosperity should rely on a roughly equal balance of power, both globally and among the region?s major nations, which should cooperate in managing common challenges, working whenever possible through international institutions such as the United Nations. For analysts such as krepinevich, it is axiomatic that rising powers such as China seek hard power dominance and that the central challenge for currently dominant powers such as the United States is how to prevent them from doing so. This sort of zerosum thinking? which is increasingly common on both sides of the Pacific?polarizes the region and undermines the goals of continued peace and prosperity toward which all strive. 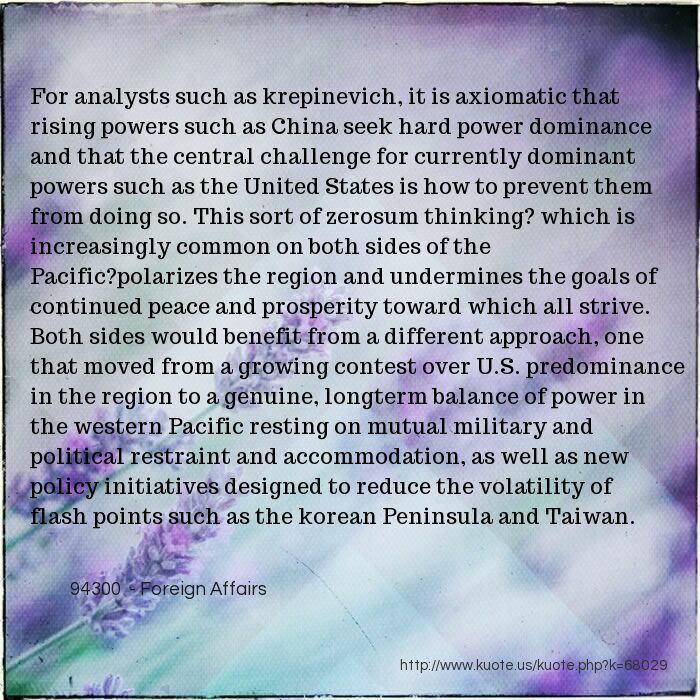 Both sides would benefit from a different approach, one that moved from a growing contest over U.S. predominance in the region to a genuine, longterm balance of power in the western Pacific resting on mutual military and political restraint and accommodation, as well as new policy initiatives designed to reduce the volatility of flash points such as the korean Peninsula and Taiwan. When it comes to preventing accidental collisions, it is in everyone?s best interest to share all the data. Traditionally, the United States has served as the de facto keeper of a global catalog, but other countries and even private organizations have started maintaining their own. It?s time to centralize all this information in one location, which will require governments to agree to new policies and the use of new technologies that can make it easier to share data. As the number of players in space increases, situational awareness will become all the more important. For one thing, tracking satellites allows their owners to prevent them from accidentally colliding with one another. 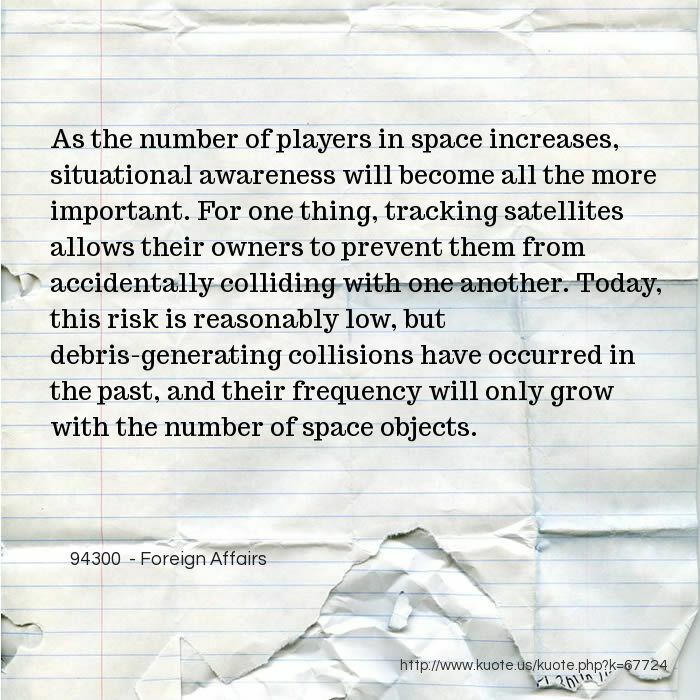 Today, this risk is reasonably low, but debris-generating collisions have occurred in the past, and their frequency will only grow with the number of space objects. So what are policymakers to do? 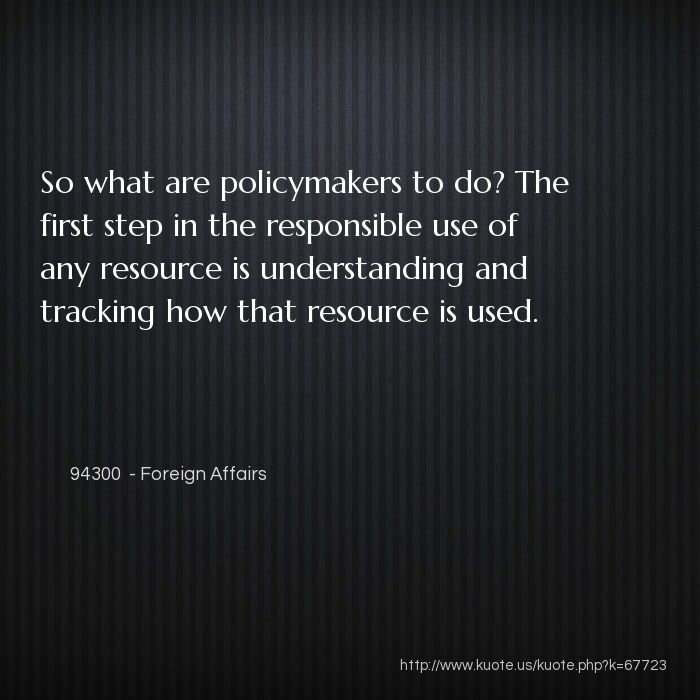 The first step in the responsible use of any resource is understanding and tracking how that resource is used. 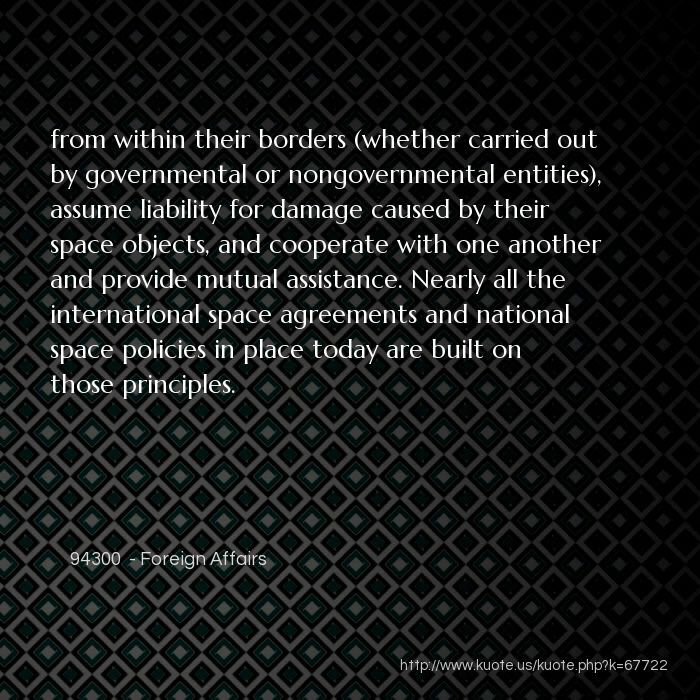 from within their borders (whether carried out by governmental or nongovernmental entities), assume liability for damage caused by their space objects, and cooperate with one another and provide mutual assistance. Nearly all the international space agreements and national space policies in place today are built on those principles. 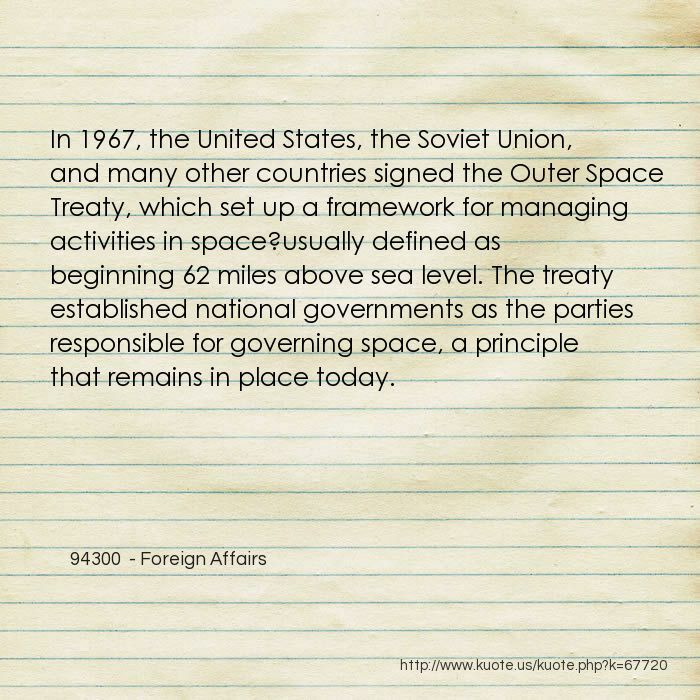 In 1967, the United States, the Soviet Union, and many other countries signed the Outer Space Treaty, which set up a framework for managing activities in space?usually defined as beginning 62 miles above sea level. 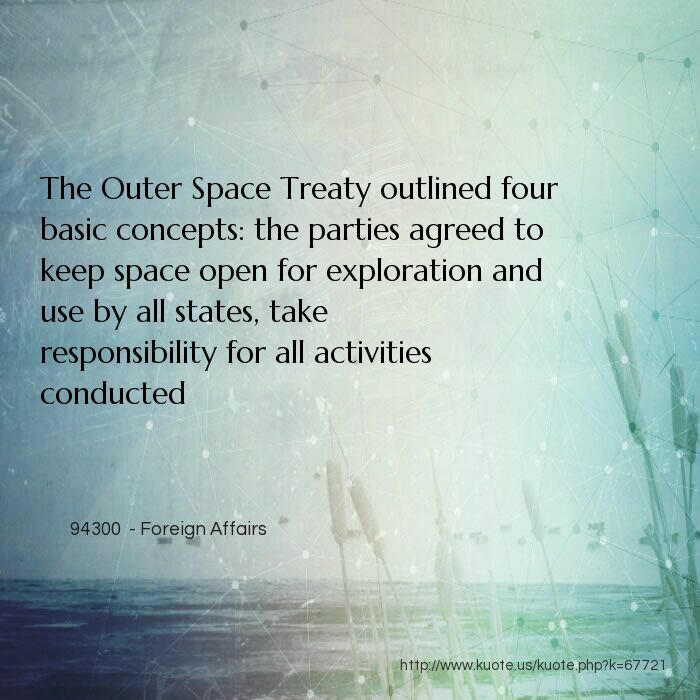 The treaty established national governments as the parties responsible for governing space, a principle that remains in place today.